Azerbaijan Hazelnut Producers and Exporters Association (AHPEA) intends to expand the geography of hazelnut exports in the European market, the association’s Chairman Ismayil Orujov told Trend. He said that last week Azerbaijan Export and Investment Promotion Foundation (AZPROMO) organized an export delegation to Switzerland, and about 12 Azerbaijani producers took part in it. "It is important to have a bio-certificate in the matter of exporting products, and as part of the export delegation, a preliminary agreement was reached with the local exporter which has this certificate," he noted. "Last year, the total export volume to Switzerland amounted to 22 tons. This year we will try to expand the export geography in the European market. In October, the exporters will take part in the SIAL Paris exhibition." Logistic services in Europe are expensive, and among other things, a tax of 3.2 percent is levied on Azerbaijani products within Europe, he added. "As is known, Azerbaijan has recently expanded the list of products to which export promotion is applied, and hazelnuts have also been added to the existing list of goods and products," said Orujov. "So this encouragement from the state gives us competitive advantage, and we will try to expand the geography of our exports." Last year, the export volume of hazelnut was 20,842 tons, he said. 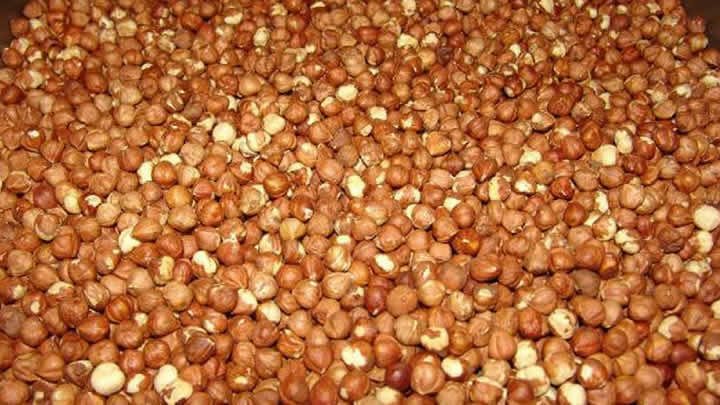 Italy ranked first among the importers of hazelnuts, and approximately 9,000 tons of peeled hazelnuts were supplied there, he noted. Russia ranked second - over 6,000 tons of peeled hazelnuts were supplied there and Germany ranked third - more than 3,000 tons of peeled hazelnuts were supplied to that country, he added. "Now we are trying to diversify the market and enter other markets," Orujov said. "We have already started to deliver products to Dubai and Tunisia." In general, regarding the volume of hazelnut production in Azerbaijan, Orujov said that if the weather conditions are acceptable, hazelnut production will be increased by 5-10 percent compared to last year’s figure, which will be about 60,000-65,000 tons.